Weight gain and a higher cholesterol level are two of the biggest misconceptions about the ketogenic diet. To truly understand why the ketogenic diet will help you lose weight and lower your cholesterol level, you need to know what cholesterol is, and how the body burns fat. The ketogenic diet will not make you fat or clog up your arteries. When you’re trying to lose weight with the ketogenic diet, you must be at a daily caloric deficit of about 500 calories. This is the basic rule of all weight loss. You must consume less calories than you expend. Since you’re at a caloric deficit, even a ketogenic diet that’s high in fat will not cause you to gain weight. However, since you’re constantly feeding your body a fat rich diet that’s low in carbs, ketosis will set in. That means, your body will be in a state where it burns fat for fuel instead of glycogen. This is the ideal place to be in. Now your body will tap into the stubborn fat stores and burn the fat there. As a result, you’ll actually see your bodyfat percentage drop. Other diets like the Atkins diet, paleo diet, etc. don’t really create a state of ketosis. Fat loss with those diets usually revolve around a caloric deficit and exercise, whereas the ketogenic diet transforms the way your body gets its source of fuel. That’s why the keto diet is so powerful. It’s time to set the record straight. Bad cholesterol is caused by inflammation within the body. Eating simple carbs such as white flour products, processed foods and sugary foods, inflames the body. In response, the body creates cholesterol to act as a form of protection for the cells. Eating natural, healthy fats does not raise your blood cholesterol levels. A common misconception is that the arteries get clogged because they’re filled with hardened plaque due to too much dietary cholesterol. This condition is known as atherosclerosis. The truth of the matter is that atherosclerosis occurs when the arteries are inflamed and damaged due to oxidized lipoproteins getting through the arterial wall. Once again, this is due to sugar, processed foods and other detrimental foods – NOT natural healthy fats. The ketogenic diet encourages you to consume natural fats such as olive oil, coconut oil, oily fish (such as salmon, tuna, mackerel), avocados, olives, eggs, walnuts, etc. All the natural fat sources recommended by the keto diet will benefit the body in many ways. These foods are rich in fats and nutrients that the body craves. Common sense will tell us that our ancestors would have eaten these foods. Hydrogenated food oils, sugary doughnuts, French fries, etc. were not part of their diet. That’s why our ancestors were not obese. If your bad cholesterol levels are high, the first thing you should do is reduce the inflammation in your body. The best way to do that is by getting on a ketogenic diet. The omega-3 fatty acids from the fatty fish, etc. will reduce the inflammation. So, what that really means is that the ketogenic diet is the answer to the problem and not the cause. You can cast all your worries aside about this diet making you fat or raising your bad cholesterol levels. Quite the opposite holds true. Many people all over the world have lost weight and improved their health after adopting the keto diet. You can join them too. Once you give it a try, you’ll wish you had done it sooner. No lies, no made up stats, no starving yourself. A simple straightforward approach to your body adapting to eating fat-based foods transforming you into a machine that melts the fat from your body. You may have heard that the keto diet works wonders for fat loss and you’re eager to try it. Right now it is the weight loss program choice of many celebrities. However, there’s just too much info floating around and you’re clueless where to start. In this article, you’ll be given the bare facts simplified so that you have an idea of what the diet is all about and can decide if it’s right for you. The keto diet is very high in fat and your macros will roughly be made up of 70 to 80% fat, 20 to 25% protein and about 2 to 5% carbs. Most keto dieters do not exceed 50 grams of carbs a day. Contrary to popular belief, eating fats is not detrimental to your health. In fact, it’s very beneficial… BUT you must only eat the good fats. The biggest obstacle people face when embarking on most other diets is their food cravings. Since their diets contain carbs, they get these cravings and hunger pangs. The keto diet puts an end to the problem by breaking your addiction to carbohydrates. Most people burn glucose for fuel. This glucose comes from carbs. When you’re on a keto diet, your body converts fats into ketones and burn the ketones for fuel. Your body runs much more efficiently on ketones. Since you’re using fat for fuel, the body will burn up your fat stores more rapidly. This is one reason why people lose more weight with the keto diet than any other diet. Unlike the paleo diet that is very strict, with the keto diet, you have much more freedom to eat foods you love. Butter, bacon, nuts, coconut oil, olive oil, salmon, fatty meats, etc. are all recommended in the keto diet. The higher the fat macros, the better. Keto meals are often tasty, and you’ll not feel like you’re eating cardboard while on the diet. The keto diet helps burn off tumors because the body is low in glucose. Your skin will be radiant, and you’ll feel much ‘lighter’. Since processed foods are not encouraged in the keto diet, most of your food will be single ingredient foods which are nutritious and beneficial to your health. The keto diet has been shown to improve brain health too. This is important as you age. One of the best benefits of keto is the abundant energy you feel when you’re burning ketones for fuel. You’ll not be lethargic, and it will seem as if a brain fog has been lifted. You’ll have better sleep, more energy for your workouts, and have better concentration. You’ll not have cravings for sugar or sweet foods when on a keto diet. During the first 4 to 7 days, you may yearn for some carbs and sweet foods. However, once your body goes into ketosis, you’ll not have these cravings anymore. Unlike other diets where you’re still burning glucose for fuel, you’ll always have cravings for sugary foods and end up bingeing at night. This is one reason why so many diets fail. The dieter has not weaned himself/herself off using glucose as a fuel source. By now, you should have an idea of what the keto diet is. This diet has been proven to work and while it will require a change in your eating habits, once you make the change, you’ll be glad you did. Give it a try and enjoy the benefits that come from this powerful diet. If you would like to get more information about the keto diet, get my book. The weight loss industry is filled with misconceptions, conflicting information and ‘broscience’ (opinions passed off as facts). It’s no wonder so many people are confused and spinning their wheels not knowing what to do when trying to lose weight. The ketogenic diet has seen its popularity increase by leaps and bounds over the past few years as more and more people realize just how effective it is. Just like any other diet, it has its pros and cons… and no diet is perfect for everybody. In this article, we’ll look at the common misconceptions about using the ketogenic diet as a tool to shed excess fat and look good. Not really. The term ‘easy’ is subjective and it all depends on the individual. If you compared the keto diet to the paleo diet, then you might consider it a lot easier to adhere to, since the paleo diet is extremely stringent. However, even with the keto diet, there is a period where you’ll need to adapt. Most people are addicted to sugar and carbs. Switching to a diet that gets 80 to 90 percent of its calories from fat can be challenging. All diets will yield results if followed correctly. Speed of weight loss will vary from individual to individual. Will you lose more fat with the ketogenic diet? You might, if you follow the diet with a high level of compliance. However, even then, it will take time to shed the fat. Weight loss is a slow process and you’re not going to lose 15 pounds in a week. Even if you manage 10 pounds, a lot of it will be water weight. Most people have an institutionalized sense of impatience. They want results fast and they want it NOW! The keto diet will get you faster results than many other diets, but within a reasonable time. You’ll not go from overweight to ripped in two weeks. Give yourself at least 2 months to see visible results. You might as well stay the course. The time is going to pass anyway. If followed correctly, the keto diet is not a dangerous fad. In fact, it’s extremely healthy. You will lose weight much more effectively, your blood sugar levels will stabilize, your bad cholesterol levels will decrease, your heart health will improve while your risk of cancer decreases and so much more. It’s important to know the difference between the good fats and bad fats. Cold-pressed coconut oil is a good fat. Hydrogenated canola oil is a bad fat that’s high in monounsaturated fat, causes inflammation and accelerates the aging process. When you’re on a keto diet, you MUST educate yourself well on what the good fats are. Then you’ll be able to consume the omega-3 fatty acids that your body needs and avoid the omega-6 fatty acids that are inflammatory. 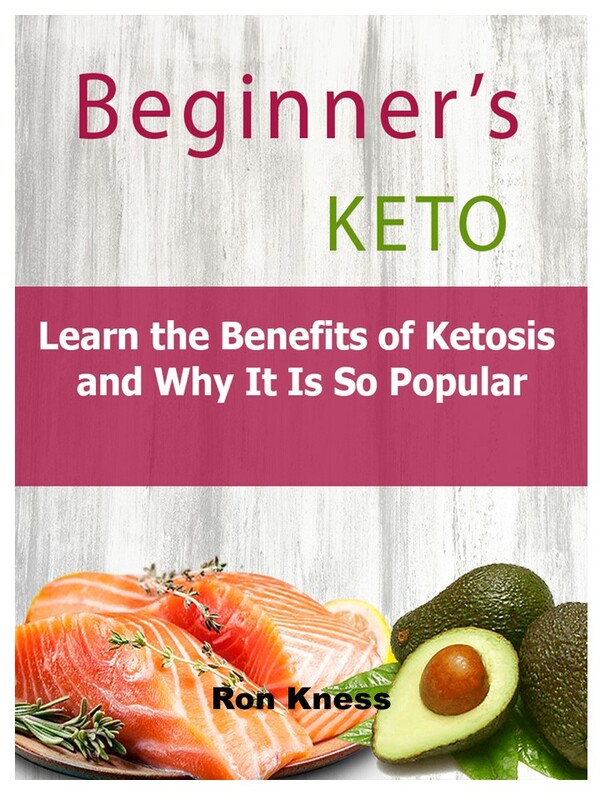 For more information on the keto diet, take a look at my book at the bottom of this post. 4. Will I get ketoacidosis? This issue is probably the biggest worry that people on the keto diet have. When the ketones in your body are too high, ketoacidosis can occur. However, this is quite rare and tends to affect only those with type one diabetes. This is pathological ketoacidosis and not a nutritional one. If you wish to err on the side of caution, you can purchase a set of urine strips from your pharmacy and monitor your ketosis. If your ketones are too high, you can consume some complex carbohydrates and that should reset things to normal. There’s no cause for panic. These are 4 of the most common misconceptions surrounding the ketogenic diet. In another article, we’ll examine another HUGE misconception about whether the ketogenic diet raises your cholesterol level. For now, just know that this is a safe and highly effective diet with many health benefits than can be accrued if you adopt it. Do give it a go and watch your waist size shrink and your fat disappear (with time). 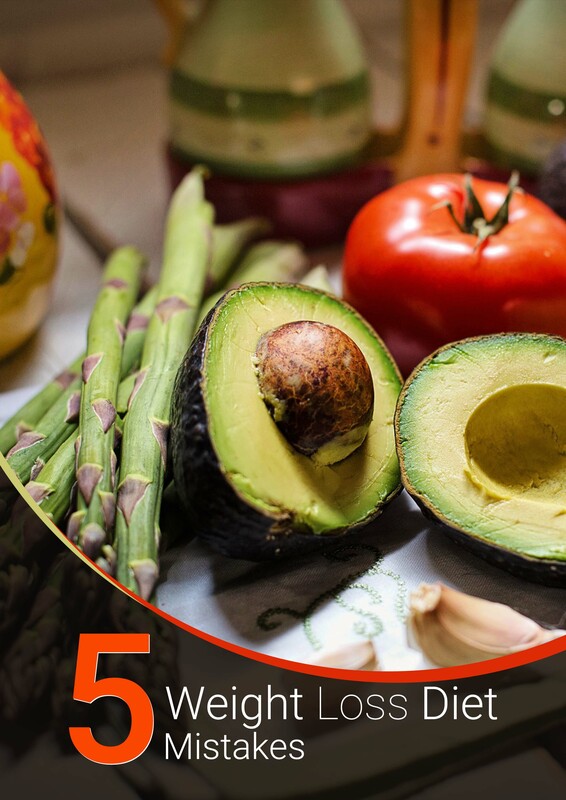 This article is one of 15 articles found in our 30-Day Diet Challenge , along with Weekly Weight Loss Meal Plans and Recipe Videos on how to make the meals in the plans. Losing weight really depends on one thing: reducing the number of calories you eat, use, or absorb. And every way you tackle weight loss addresses one of these areas. You reduce the calories you eat when you eat a more filling diet, cut out fats, calorie restrict, or fast. This means that fewer calories are entering your body, meaning there are fewer calories to save, meaning that you will burn your body fat to get the calories you need to survive. You increase the calories you use by exercising more, increasing your metabolism, or sleeping better. This means that more calories are used than are entering, there are fewer calories to save, and eventually you have to burn your body fat to keep your body running. And you reduce the calories you absorb when you eat high protein or high fiber diets, as these nutrients are not always digestible to us, and when you eat complex foods like dairy, which combine with fat and stop it from being absorbed. This means that even though you are eating enough calories, some calories are being lost in your stool, which can cause you to burn fat to make up for the lack of calories. All diets operate on one of these principles. Even the diets that say you "Don't even have to count calories!" rely on satiation, unavailable calories, or burning calories through exercise to help keep you slim. Which means that when these diets fail, it is because we are eating more calories than we are burning. This is why it is so important to understand and track our calories. Because no matter what diet we are following, we need to have a calorie deficit, to burn more calories than enter our bodies, to lose weight. * How many calories we need. * How many calories we are eating. * How many calories we are absorbing. * How many extra calories we can burn. * How much of a deficit are we creating? If we do not know these things, we risk our diets failing due to ignorance about what we are doing. To calculate the calories, you need, there is no better way than to use a simple online BMR calculator. BMR means "basal metabolic rate", aka, the number of calories your metabolism burns on its own. This calculator will work out how many calories you need on a day where you are doing nothing at all, not even getting out of bed. To that figure, add the calories burned by the activity you did today. Don't estimate, look up how much the different activities burned. You might be surprised by how little it is! Swimming at a good pace for one hour nonstop only burns 500 calories. 10,000 steps only burn 660 calories. You need to consider how many calories you are really burning before making a decision about what you need to eat. However, it is also important to consider how many calories we are eating and absorbing. This is a crucial distinction, because calories are the minutes of energy caused by burning a certain amount of a food. And fire can burn fiber, for example, but we cannot. Which means that the calories in fiber are useless to humans. So we need to make two calorie intake calculations. First we need to measure the number of carbs, protein, fat, and alcohol we are eating from all sources. Be honest with yourself, and it is better to overestimate than to underestimate. It can be really shocking how calorific some foods are! Some sauces have a hundred calories or more per tablespoon, and oily treats like chips or shortbreads can have three times as many calories as the simple carb without the fat. When in doubt, check online. All these nutrients are not used by our bodies, and their calories are meaningless to us. When you have measured how many calories you need and how many you are eating, you are in a position to evaluate your diet and measure your calories daily. Whatever diet you have chosen, if you are not losing weight, reduce your calories by a hundred a day for a week or increase the number you burn by a hundred a day for a week. If you are still not losing weight, remove another hundred and try again. And so on until you are losing weight. The struggle is real and everyone who has ever tried weight loss programs and failed knows it that all too well. It seems no matter what you do you simply cannot lose that extra weight. Worse is when you try so hard and it actually backfires and causes you to gain more weight. You have cut out carbs and fat, and sugar, and whatever else they told you caused weight gain or hindered weight loss. You have juiced and detoxed and everything else they told you would help you lose weight and/or stop the gain. Still, you keep trying. You eat a ton of fruits, veggies, and whole grains. The healthy foods that everyone says you need to eat to lose weight. You completely eliminate those ice cream sundaes that you love so much and all of your other unhealthy favorites and replace them with – gag – Brussel sprout smoothies and kale salads without dressing. You buy everything you can in the low fat alternative and take diuretics to eliminate unnecessary water weight that makes you feel like you are not getting anywhere. You have even gone so far as to exercise – the kind that makes you sweat. Still, you cannot fit into those cute jeans that you wore last year. In fact, the mom pants you are wearing now seem to be getting a little snug. The fact is you may be getting in your own way. With all of the information out there about weight management, it is little wonder that the majority of people who try to lose weight actually end up gaining more. When in doubt, always go to the experts. In this case, that means widely respected and recognized experts in the dietary and nutritional fields. Before you make any major change in how you feed and use your body, consult your doctor. At the very least, consult those associations that specialize in nutrition. According to the Academy of Nutrition and Dietetics (formerly the American Dietary Association or ADA) and the Society for Nutrition Education and Behavior, the ideal way to manage your weight is through careful management of your calorie intake combined with exercise. *You can convert your weight and height by just typing them into Google. The value obtained from this formula tells us the number of calories a person needs to consume each day to maintain their current weight. Assuming of course they have a zero activity level. Since very few people have zero activity, the value from the previous step should be multiplied by an activity factor that generally falls between 1.2 and 1.95. Where on that range a person falls depends on their typical level of exercise, the more active the person, the higher the number. This gives a more realistic estimate of for maintaining body weight. 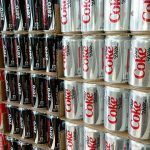 The AMA further says that it is inadvisable for a person to lower their daily caloric intake by more than 1,000 calories per day. Losing more than two pounds per week can be unhealthy and can actually backfire by reducing the metabolism. A sustainable safe weight loss per week is 1 to 1 1/2 pounds. So now, you have a target for your calorie intake and can eat accordingly. However, that is not all there is to losing weight. Some common misconceptions have led to the development of some common mistakes. To that end, below is a list of common mistakes that you are probably making without even knowing it. It seems like this should not even be possible. If they are healthy foods then how can a person possibly eat too much? As the old adage says, you can never have too much of a good thing, right? It turns out that some good things are not as good as they may first seem. Certain foods that are otherwise considered healthy need to be limited when you are trying to lose weight. Foods such as avocados, coconut and other oils, and nuts, for example, are very high in calories. For instance, one avocado has around 320 calories. While, a Snickers Bar only has 215 calories. Even though the avocado is better for you, the calories can add up fast. Likewise, nuts are typically recommended when trying to lose weight, but a small amount adds up fast in terms of calories. While they are otherwise very good for your health, they can be deadly for your diet. Nuts are extremely calorie dense, meaning that only small amounts of them pack a huge amount of calories. For example, only four walnuts are 100 calories. Most people can eat way over triple that amount in one sitting without realizing how many calories they have consumed. For about the same number of calories as eight walnuts, you could eat a milk chocolate Hershey's Bar. Again, always choose the more nutritious option, but watch out for overeating by watching your portions. It is important for you to know what you are putting in your body. Pay attention to the calorie content of foods in addition to the nutritional value. Just because it is good for you does not mean that it is good for your diet. You are eating to fuel your body. You would not overfill the gas tank of your car. Likewise, you should not overfill your body with high calorie, yet nutrient rich, foods. Knowing the calories contained in each of the major food components can help you keep track of how many calories you are putting into your body from those sources. It can also help you develop a diet based around those components, which you value over others, for whatever reason. Another mistake that you probably thought was helping you is overloading on low fat products. Many products touted as low fat are high in sugar to compensate for the reduction in fat. That means that they are still high in calories and will actually contribute to weight gain rather than promoting weight loss as is commonly believed. A recent UK study found that 10% of diet foods with the low fat label actually contain the same or more calories than the regular stuff, and that 40% had more sugar. When companies remove fat, they have to use more sugar, salt, and additives to make the food better tasting. "Fat-free" foods must have less than 0.5 gram of fat per serving. "Low-fat" foods must have 3 grams of fat or less per serving. "Reduced-fat" foods must have at least 25% less fat than regular versions of those foods. "Light" foods must have either 1/3 fewer calories or 50% less fat. In addition, research shows that a "low-fat" nutrition label leads all consumers, especially those who are overweight, to overeat thinking that they will not gain weight because of the lowered fat content. Moreover, when it comes to losing weight, a little ‘good’ fat can actually help you slim down – as long as it is a monounsaturated or polyunsaturated fat. According to Lisa Young, Ph.D., author of The Portion Teller Plan, “The good-for-you fats in foods like nuts, avocados, and salmon can help you feel more full, meaning you take in fewer calories throughout the day overall.” Just make sure to watch your portion size; since these foods do contain a healthy amount of fat, they also tend to be calorie-dense. If you want to lower the fat in your diet – which is commendable – and lose weight at the same time, entirely cut out the processed foods with the bright labels screaming “Low Fat” from the supermarket shelves. It is always best to get your food as close to its natural state as possible but it is especially important if you are looking to drop a few pounds. Bananas, beans (green snap and red kidney), broccoli, carrots, fish (haddock, Orange Roughy, and white tuna), grapes, and many more foods are both low in fat and low in calories. When you shoot to lower your fat intake during a diet, choose one of the foods in that category. 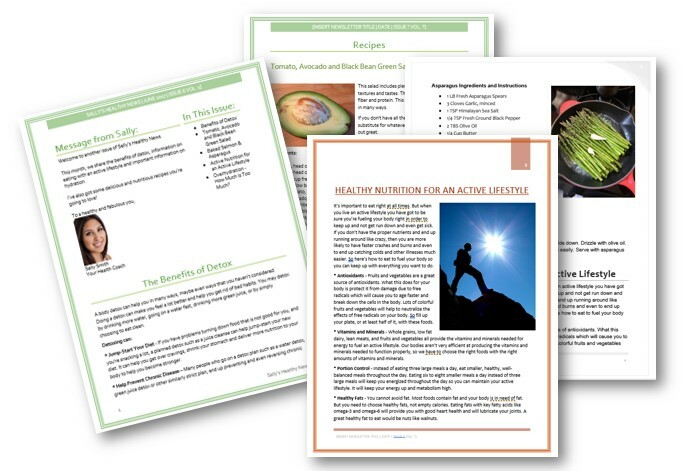 Every piece of dietary literature and advice tells you that if you want to lose weight you must completely eliminate anything unhealthy or containing sugar, fat, carbs, or what have you from your diet. That is not only wrong; it can backfire and make your diet fail. How many of us have punished ourselves for putting on a few pounds by going into a state of denying ourselves sweets, fats, and just about every food that makes us happy. Eliminating your favorite foods only sets you up for failure. When you feel hungry all the time, you are more likely to binge. "I think it's really unrealistic for most people to eat that way for the long-term," says Marjorie Nolan, MS, RD, CDN, CPT, a registered dietitian in New York and national ADA spokesperson. Trying to keep to a diet that forbids the things that you most enjoy eating will only make you want those things even more. It increases the chance that you will go on a binge of those foods you have been refusing yourself and destroying, not only your diet, but also your confidence. 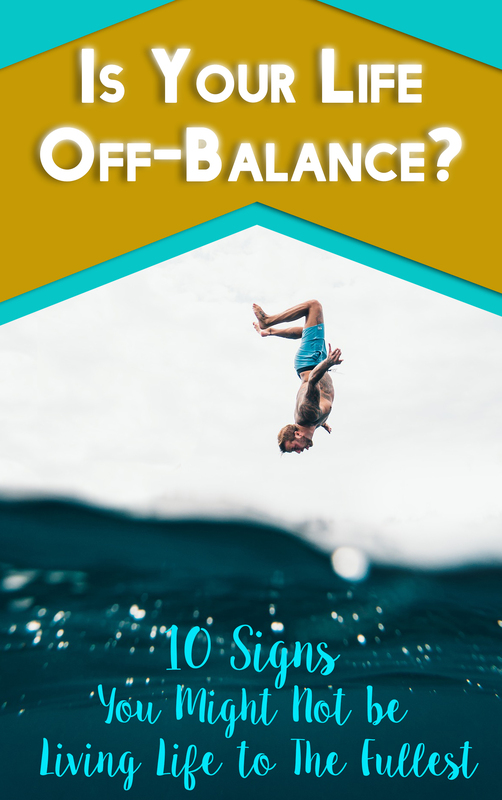 Falling off the wagon like this can leave you feeling like you cannot do it. Do not believe that bull. You can! "It's all about small splurges without being overindulgent when it comes to very calorie-dense foods," says Sari Greaves, RD, nutrition director at Step Ahead Weight Loss Center in Bedminster, N.J., and an American Dietetic Association (ADA) spokeswoman. She suggests combining sweets with healthy foods, like drizzling melted chocolate over strawberries, or adding a few chocolate chips into your granola. Like everything else in life, the key here is moderation. Try a lower calorie version of your blacklisted favorite or eat a ‘junior’ size serving of one of your favorite treats once a week. Make it a celebratory gift to yourself for reaching your dietary goals for the week. Diets do not have to be torture to work but they do require planning, discipline, and vigilance. Fiber is a hunger satiating, zero calorie group of nutrients that are great for keeping you feeling full longer. Unfortunately, the modern American diet is highly deficient in fiber. A study published in the Annals of Internal Medicine indicates that eating 30 grams of fiber each day can help you lose weight. Fiber has no supernatural fat-burning properties; it simply helps you feel full without adding a lot of extra calories to your diet. Like anything else, it is best to get your natural nutrients from their natural sources. This is even more true of fiber as the supplemental fiber added to most processed foods is not considered to be very healthy. In fact, some may even be harmful to your health. Some natural sources of fiber include carrots, green leaf lettuce, celery, okra, radishes, asparagus, broccoli, and cabbage, among others. Do a little searching and find the low calorie, high fiber foods that you enjoy the most. Plan your meals to include these foods and they will help you lose weight. According to the Institute of Medicine, women require around 25 grams of fiber per day while men need closer to 38 grams. Not eating enough fiber leaves you more vulnerable to bouts of hunger and binging. Luckily, just a few clever switches and shrewd add-ons can help get you there! Water is one of the central building blocks of life. It is essential to keeping your body running at peak levels. It is no wonder then that you are dehydrated your metabolism slows down. In order to burn the maximum amount of calories – and thus lose weight – you need to drink as much water as you can and stay hydrated. However, drinking water is not the only variable in whether or not you stay properly hydrated. Dehydration is caused not only by poor water intake but also by losing more water than you take in. Further aggravating factors are high sodium, caffeine, alcohol intake and sweat lost through exercising can cause dehydration as well. Diabetes, some illness, and sweating – whether from fever or exercise – can also add to dehydration. Hydrating your body is one of the easiest ways to amplify your fat-burning capacity. Not to say that drinking water alone will produce weight loss; however, even with an ideal diet, if you are dehydrated, your weight loss will be reduced. At a minimum, you should drink at least 64 ounces of water per day - eight 8-ounce glasses. When your body is dehydrated, it cannot burn fat. It is important to know what components of your diet are working against you. 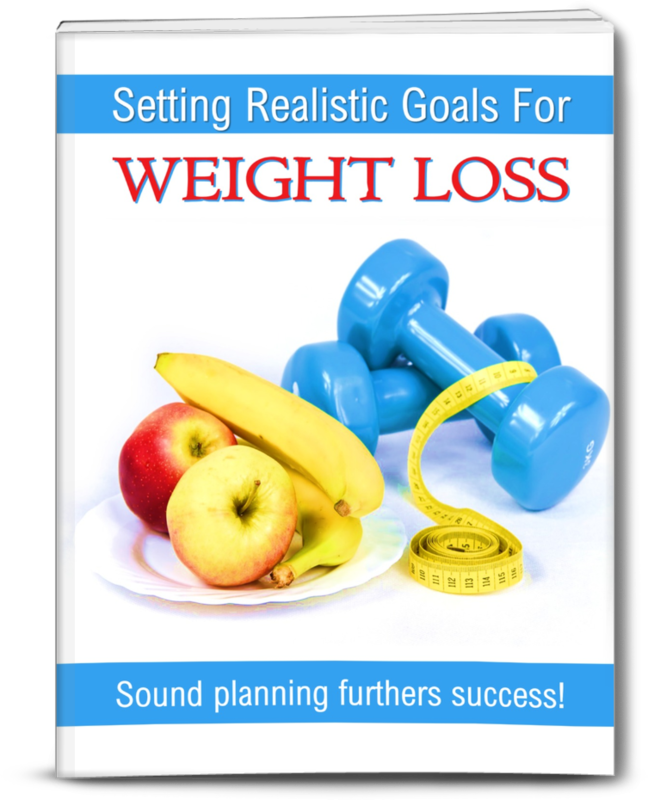 That way you can limit or – ideally – eliminate those factors and increase your chances of successfully losing weight. If you want to lose weight, the best bet is always a balanced diet combined with targeted and aerobic-like exercise that gets your heart pumping. As for dieting, the best thing you can do is limit your calorie intake to less than your body needs, thus forcing your body to burn some its fat reserves for energy. Then add some activity to your day. Take a walk on the treadmill, work out at the gym, or go out and hunt some Pokémon … whatever gets you moving and gets your heart pumping. 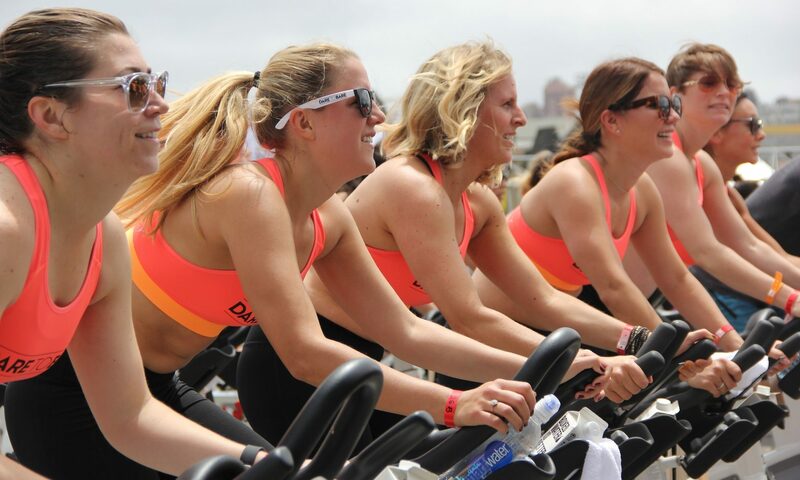 The more aerobic the exercise, the more calories burned. “Ultimately, weight loss is about calorie intake. If you take in fewer calories each day, you will slim down,” says Young. If you are trying to lose weight, do it in a way that is going to last … or the pounds are going to come back. "I think when you're going on a diet, the most important thing is to find a way of eating that suits your lifestyle," Greaves says. "Ask yourself when it comes to any new diet, 'Can I eat this way for the rest of my life?' If the answer is 'no,' that's probably not the diet for you." However, you look at it, building a diet that you can stick to that limits you calorie intake to a level below that which you need to maintain your current weight is the one true path to weight loss and part of a healthy lifestyle. Others may produce some results but they will likely be short lived and may cause more health problems. Not losing weight can be as simple making these mistakes over and over until they become a habit - albeit a bad habit, but nevertheless a habit. But if one of your goals this year is to lose weight, then you have to break those old habits that are holding you back and replace them with new more weight loss-oriented habits. And because it takes around 30 days to break an old habit and replace it with a new habit, our 30-Day Diet Challenge is the perfect way to create new habits that will help you weigh less in a month than you weigh right now. Reduce the amount of fast food you eat for a healthier life! It's a well-known fact that fast food is generally unhealthy, so if you want to start living a healthier lifestyle and eating a better diet, how do you manage without the extra time needed to make home-cooked food each day? Here are five ways you can make food fast healthier and make better choices. Because of all the processed meat which is being circulated today, going vegetarian is a quick and easy way to choose a healthier option every time. Even fast food chains such as McDonald's have vegetarian burgers, and as well as being less calories than other types of burgers, they don't contain as much badness either. Or go with a salad topped with grilled chicken. That is one of my favorites! When you eat fast food, a lot of the sugar, calories and unhealthy features come from the sauce they use. If you ask for your food without sauce, or at least order it on the side so you can use as little as you want, you'll be making a healthier option straight away. You can either swap the sauce to a healthier one, bring your own along or just get used to eating without it. You don't always need to get sides with your fast food, and many of us order sides such as fries out of habit or because it comes as part of a deal. In most cases, we wouldn't be hungry any more after just eating the main part of the meal, so there's really no need to add on the extras just because it's a deal or a habit. Oh ... in most cases, you don't need to "super-size" it either as that is just more of the same unhealthy food that is not good for you. If you're ordering fries which already come with salt, ask them to make them without salt. Too much salt adds to an increase in blood pressure, which can result in a variety of health issues, such as strokes and heart attacks. If you ask for your food without salt, the staff will usually have to make it fresh, which means you'll get better-tasting food too. If you normally order a large meal, choose a medium one instead. Most of the time, the medium sized meals aren't much smaller than the large ones anyway, and the drinks especially can often fit into the same sized cup. Not only will you reduce the amount of calories and salt that you're consuming, but you'll save plenty of money over the course of the month too.